As a non-profit community blog without any funding sources, we need to accumulate donation to pay for the booth rental fee in this event. We assumed that there will be a certain number of donators, thus the minimum expected donation is around IDR 70.000 / USD 8 / SGD 10. After you send your donation, kindly confirm it in this Confirmation Form. IDR 70.000 / USD 8 – Your name will be listed in a special banner that will be put in front of the booth. We will also put your name in a special “Contributors” page in Nendonesia blog. 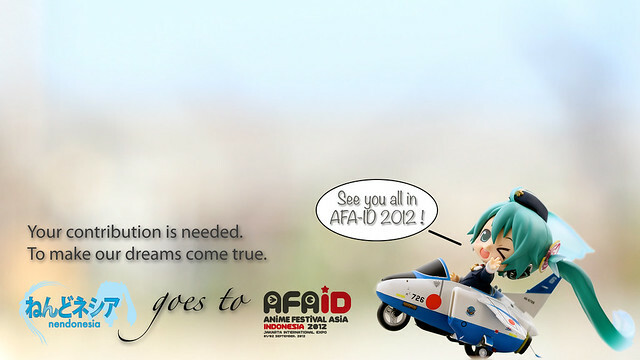 IDR 100.000 / USD 11 – All of above, plus a special green-colored Nendonesia badge. IDR 200.000 / USD 22 – All of above, plus a special Nendonesia mouse pad. IDR 500.000 / USD 53 – All of above, plus one random Nendoroid Petite Vocaloid. IDR 1.000.000 / USD 105 – All of above, but the random Nendoroid Petite Vocaloid will be repainted in a color theme of your choice. Your personal details that were submitted for Donation Confirmation will be used solely for confirmation purpose. We will not release your personal data to any 3rd party. In case that the booth setup is cancelled, your donation will be returned (refunded) in full. We expect the donation to run until August 17th. Aside from the booth fee, we will also need to borrow your Nendoroid to be displayed in the booth. If you want to do so, kindly join the Facebook group and consult this document for more info. 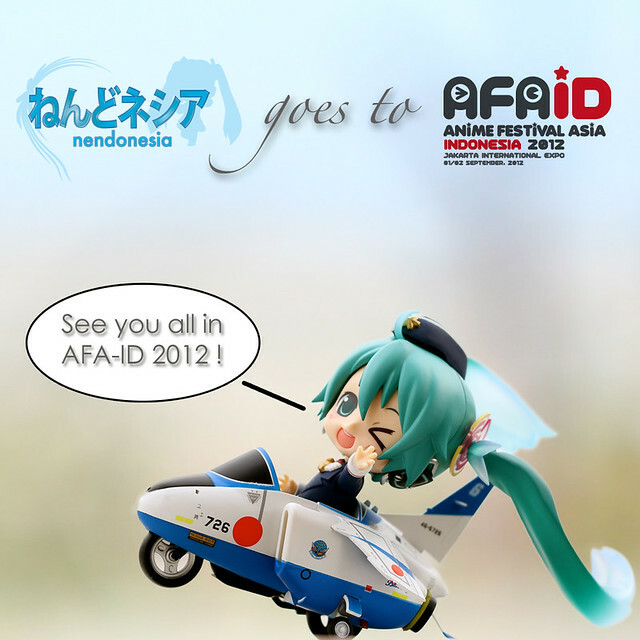 This entry was posted in News and tagged afaid, afaindo, anime festival asia, event, nendonesia, nendoroid. so how many dollars is 1000.000 idr?